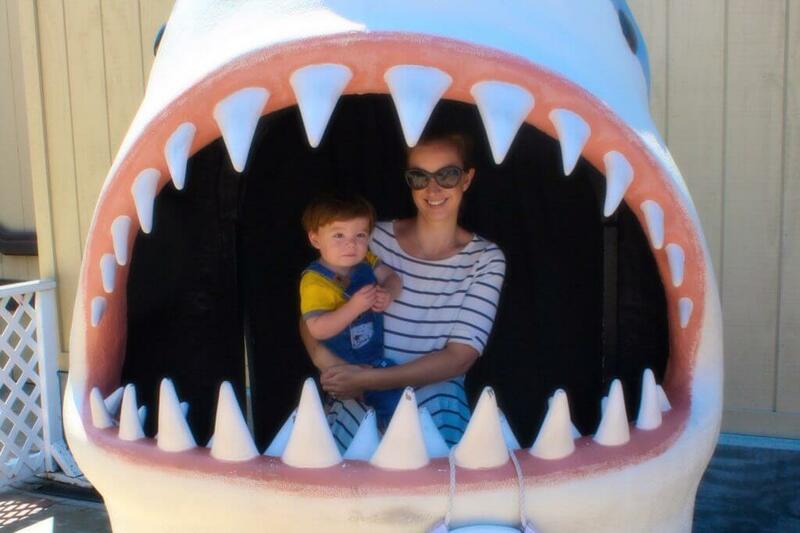 When I started planning our trip, I was kind of lukewarm about visiting San Diego with a toddler. 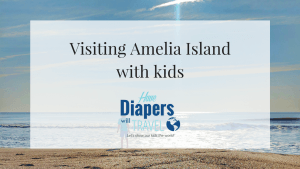 I’d been to California twice and although I wanted to see more of the state, I knew very little about things to do in San Diego and even during the planning stages, I wondered if there would really be enough to do for us in San Diego with kids. But on our very first day there, I fell in love. There’s something about the city that just captured me; it’s relaxed and fun and clean and safe and so absolutely perfect for families. I mean, there is SO much to do! Harrison was 16-months when we visited, and he had a great time! 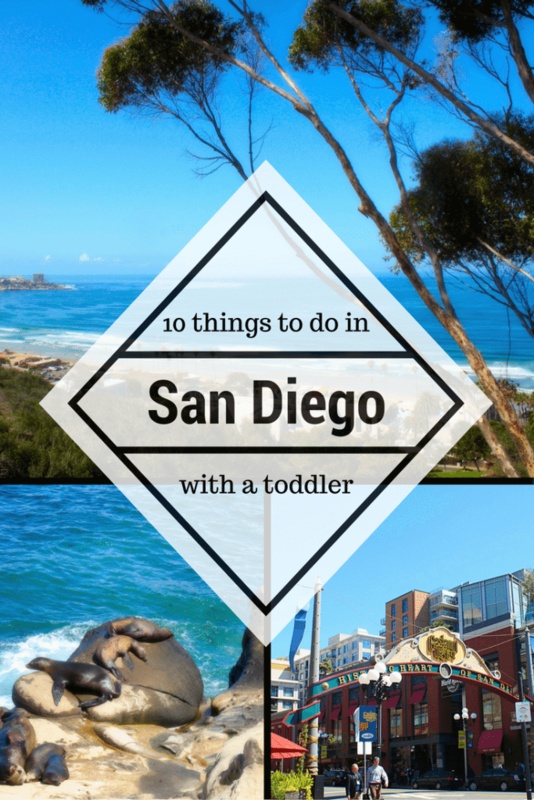 Take a look at my list of 10 things to do in San Diego with a toddler. 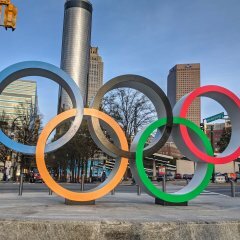 This was the one thing I was really excited about when planning our trip, and it did not disappoint! This zoo is HUGE! I mean, 100-acres with over 3,500 animals! You will need a full day here, and probably still not get to do everything that the zoo has to offer. My advice is to go in with something of a plan. I went on the zoo’s website the night before our visit, and took a look at the map. I picked out a few of the exhibits I knew we wanted to see, and figured we’d start with those and go from there. Once you arrive at the zoo, the best thing to do is take the free bus tour. This way you get an idea for the layout (and the size) of the place, and you get to see some of the animals along the way. The most popular exhibit is the pandas; these guys are super cute and playful, and the lines can get really long to get a peek at them, so I would head there first. My favorite was the koala exhibit, an animal I’ve never seen up close before, and I loved seeing the grizzly bears and red pandas. Harrison couldn’t get enough of the underwater viewing area for the hippos, and loved the large elephant enclosure. The zoo also has a play area for kids to run around, and some great food options – we had amazing fresh food with a view over the treetops at the Treetops Cafe. 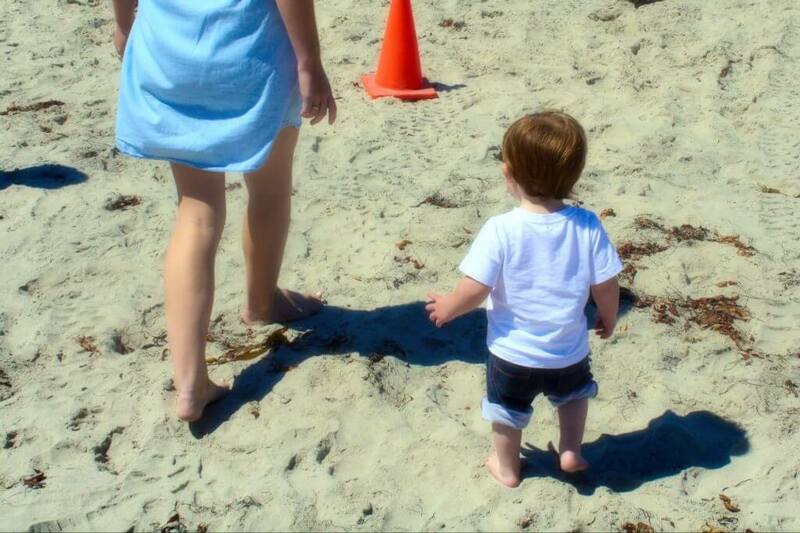 All in all, this was our favorite thing to do in San Diego, and somewhere I so hope to get back to one day. I would definitely recommend a stroller since there is a lot of walking involved, and our normally active toddler lasted less than an hour walking around. For all the information you need on tickets, hours, and other visitor info, visit San Diego Zoo’s official website. The Birch Aquarium at Scripps Institution of Oceanography in La Jolla is a gorgeous place to spend a morning. It’s less than 30 minutes from San Diego, and perched atop a bluff overlooking the Pacific Ocean. It has over 60 habitats of fish and invertebrates, as well as many interactive exhibits and play stations. We had an amazing time here! Even getting out of the car and walking up to the aquarium, the view over La Jolla and the ocean is breathtaking – if the time of year is right, you can sometimes see whales! The exhibits were fascinating, and we spent over two hours looking at them. Harrison loved the Tide Pools Plaza; an outdoor exhibit with incredible views where you can get an up-close look at star fish, sea cucumbers, lobsters, and more. He got such a kick out of being able to reach in and (gently!) touch a star fish! We also really enjoyed the Boundless Energy exhibit. This is a large interactive play area where you can use the power of natural forces such as wind and waves to make energy. For my little one, that meant getting pretty wet putting boats into a tank and watching the current move them downstream. 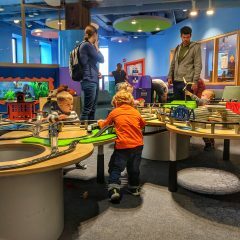 This was not only a great place for my son to get out of the stroller and run around, but an active learning opportunity. For more information, take a look at the Birch Aquarium website. After we had spent the morning at the Birch Aquarium, we decided to take a trip into La Jolla. We had heard this was a pretty little town overlooking the ocean, so we hoped to find somewhere to get lunch and maybe walk around. We ended up spending hours there, and although we found some awesome places to eat and a nice beach, what kept us there were the sea lions! We saw people looking down to the rocks jutting out into the ocean, and wondered what they were looking at – finally we realized all the black rocks weren’t rocks, but sea lions. Then the smell hit us! Wow! There were signs warning people not to climb onto the rocks or bother the sea lions, so we didn’t get too close, but the animals certainly didn’t seem bothered by the attention. Mostly they just lay around, but occasionally there would be a bit of a scuffle, or one would start barking and they’d all join in. Standing a few feet from the rocks was noisy and smelly, but we stayed there for ages. Harrison was fascinated, and squealed in excitement whenever they made a noise. This little town is really beautiful, and we could easily have spent more time there. 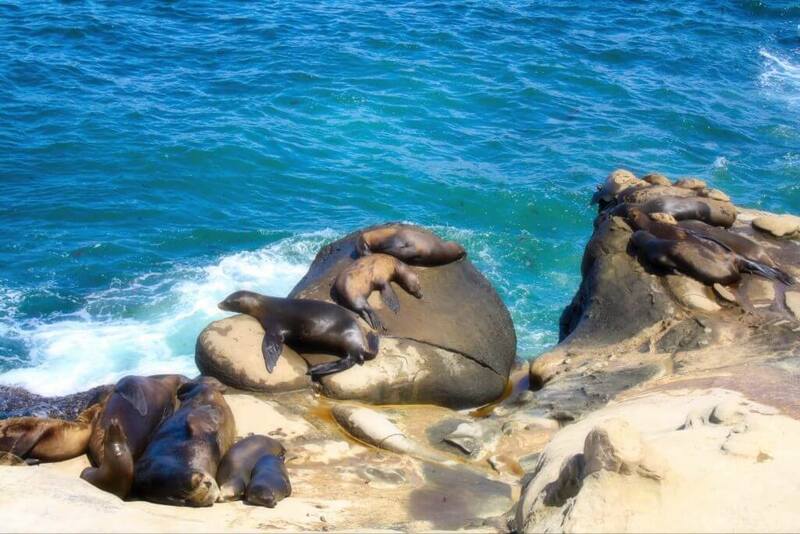 If you’re looking to spend more than a few hours in La Jolla, take a look at this amazing list of things to do by La Jolla Mom. Across the San Diego Bay is Coronado Island, a quaint island community with fantastic dining, shops, and the most amazing white sandy beaches. 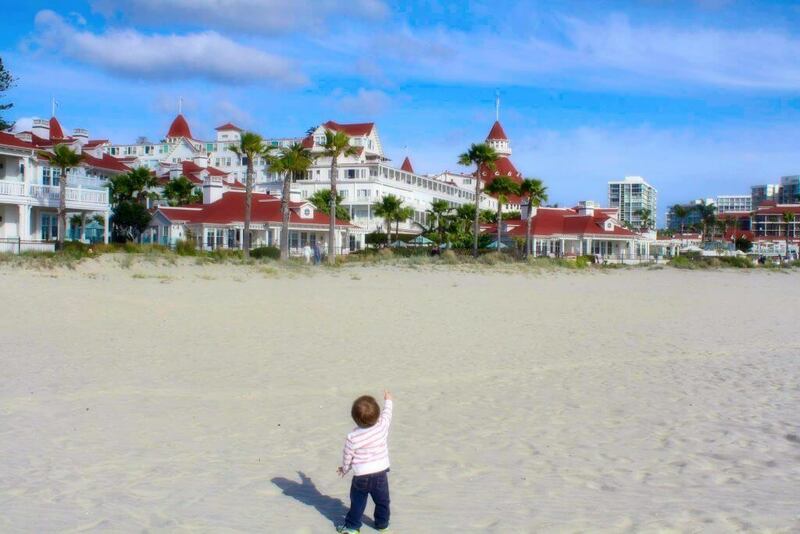 It is home to the historic Hotel del Coronado, which might look familiar if you’ve ever visited Walt Disney World; the Grand Floridian Resort is based on the design and architecture of this hotel! We walked around the hotel, went into some of the beautiful (and expensive!) shops, grabbed ice cream from an amazing little ice cream parlor, and played on the beach. Harrison had a great time on the beach; it might have been the fact that it was off-season and 65 degrees, but it was virtually deserted. He got to run around to his hearts content, looking for shells and pointing to the fighter jets flying overhead, and generally had a great time. Getting to the island is an easy drive over the Coronado Bay Bridge – the bridge is crazy tall to allow military ships to pass underneath, and driving across the bridge is quite the experience! One of the most popular beaches in San Diego, Mission Beach is just over a mile of golden sand. It has permanent lifeguard stations, making it one of the safer places to swim, and has free parking, restrooms, and showers all available. We headed over to the beach on one of the warmer days during our April trip, determined to dip our Florida toes into the Pacific Ocean. The water was a lot colder than we were used to, so it was a very quick dip, but we had a great time playing on the beach and Harrison loved it. Next to the beach is Belmont Park, an amusement park with rides, attractions, and places to eat. We skipped most of the rides, but Harrison was pretty adamant about riding the Liberty Carousel and the Belmont Express train. There is also an arcade, laser tag, a rock climbing wall, mini-golf, and a ton of other fun things for a family to do. This was somewhere we just kind of stumbled across and ended up having a great time! The USS Midway Museum is comprised of 60 exhibits aboard a historic aircraft carrier that aims to give an idea of what is was like to live on this floating city. 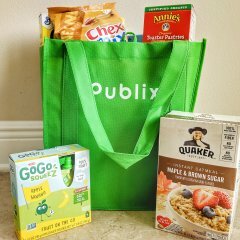 If you plan to visit with a baby or toddler, be advised that it is NOT stroller friendly at all; we let our little one walk and carried him when he got tired, but I would definitely recommend bringing a baby carrier if possible. There is a free self-guided audio tour, which my husband really enjoyed (I passed on the free tour since I figured one of us should be paying attention to the toddler!) The carrier is fascinating; you get to see the various sleeping quarters, where the sailors ate, laundry rooms, even the ships jail! There were museum docents dotted all over the place who were happy to share information and stories that really added to the experience. 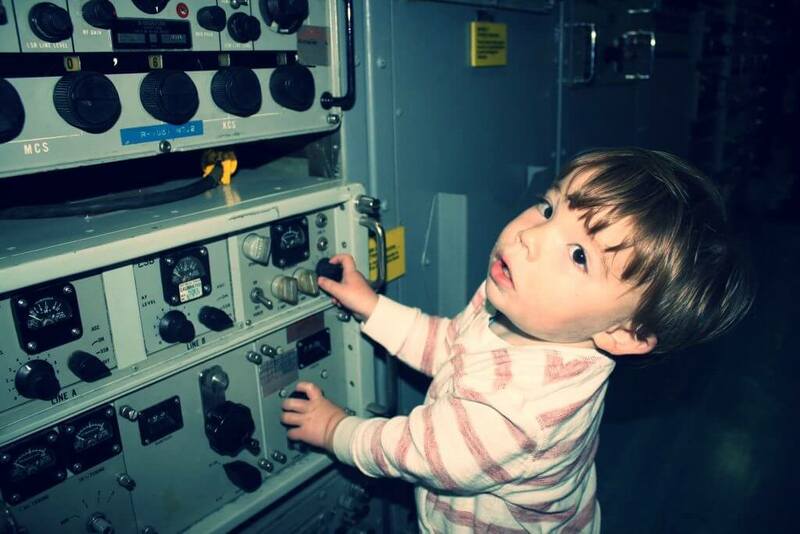 I was surprised at how well Harrison did; he loved walking around the ship, we pointed out little details to him and he was allowed to touch certain exhibits. Once he started to lose interest, we took him up to the flight deck where there are restored aircraft that you can look at, and even sit in. Harrison loved this part, and there was plenty of space up there on the deck for him to walk around without getting in peoples way. 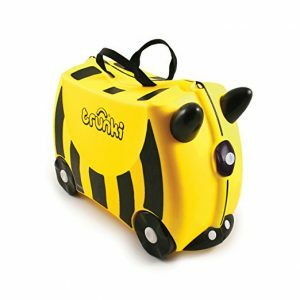 This was something my husband had thought would be a disaster with a toddler, and ended up being a lot of fun. For more information on the exhibits, as well as the history of the USS Midway, take a look at their official website. Legoland California isn’t in San Diego itself, it’s about 30 minutes away in the beautiful town of Carlsbad. We actually stayed in Carlsbad, at the Hilton Grand Vacation Club at Marbrisa, and we could walk from our resort to Legoland. My husband is a huge Lego fan and this was high on his list of things to do while in San Diego. I have very little interest in Lego, and I figured Harrison would be too young to enjoy it, but we all ended up having a great time. It wasn’t too crowded, with lines only reaching about 30 minutes for the very popular rides in the middle of the day. The park is pretty big, and there are lots of little details to look at everywhere. Harrison really enjoyed Duplo Playtown, which is a huge colorful playground with places to climb and slide and explore. He also really enjoyed the Fairy Tale Brook boat ride, the Legoland Express train, and we had to drag him away from the various cars he could sit in and play on. I loved Miniland USA, a huge area with Lego models of everything from New York City to the Las Vegas Strip to the Kennedy Space Center – the detail was amazing. Before you go, take a look at Legoland California’s official website for a park map, and a list of all the rides, shows, and attractions. Torrey Pines State Natural Reserve is 2,000 acres of walking trails, stunning overlooks, and unspoiled beaches. The difference between a State Park and a State Reserve, is that a reserve is assigned as an area of importance, often containing threatened species of plants, animals, or geological features. This means there are certain areas of the reserve that are off limits, and regulations as to what is allowed in; no food and drink besides water, no smoking, and no dogs, for example. The park is generally open from 7AM to sunset, 365 days a year, and has parking lots, restrooms, and a gift shop. 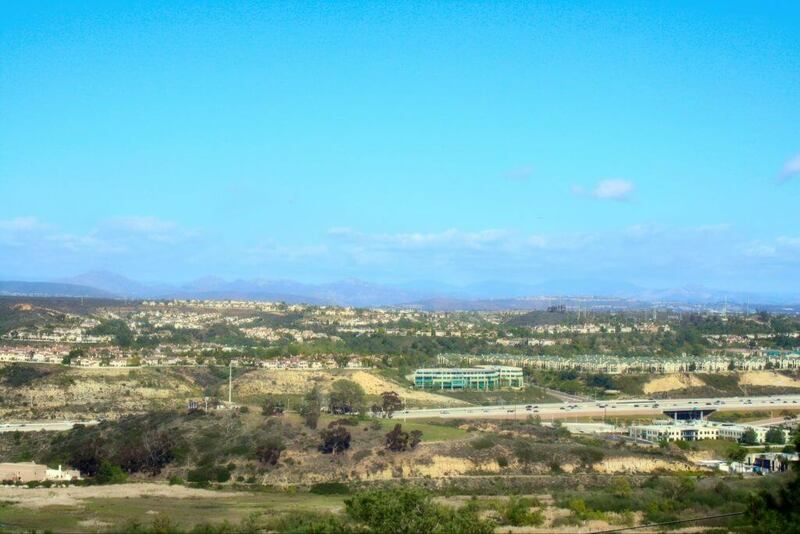 We decided to drive into the park, and then take one of the walking trails to overlook downtown San Diego. We were told by a guide that some trails are stroller-friendly, but the one we found was pretty steep and rocky. Harrison did a great job walking as long as we took it slow, but this would be another great place for a baby carrier, as we didn’t want him walking away from us near the steep cliff edges. We arrived about an hour before sunset, and the views were absolutely stunning. If we looked one way, we could see out over the Pacific, and then the other way we could see all of downtown San Diego. It was amazing to see so much protected open space within a city, and we really enjoyed spending time here. Torrey Pines State Natural Reserve has their own website here, where you can find more information, see maps of the walking trails, and look at the educational resources available. 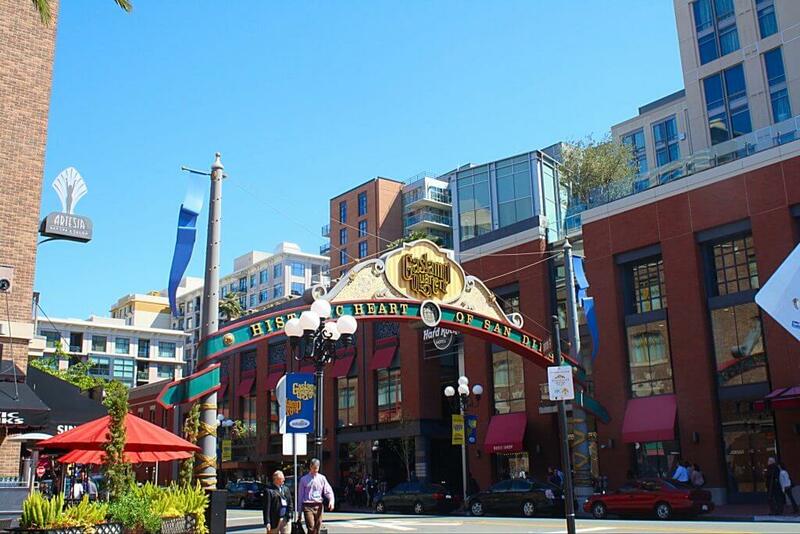 Located in Downtown San Diego, the Gaslamp Quarter is a neighborhood filled with great places to eat, shop, and explore. It’s a great place to spend a few hours walking around and taking in the sights. There are some great family friendly restaurants where we didn’t feel out of place bringing a toddler, and the streets were very stroller-friendly. From the Gaslamp Quarter, we were able to walk over to Balboa Park, 1,200 acres of land that includes the San Diego Air and Space Museum, the Old Globe Theatre, and the California Native Plant Garden. We were happy just to stroll around and stop for a picnic, but there was plenty to see and do if you want to be a bit more active (San Diego Zoo is also located within Balboa Park.) There were plenty of locals, as well as tourists, enjoying the outdoor space while we were there. 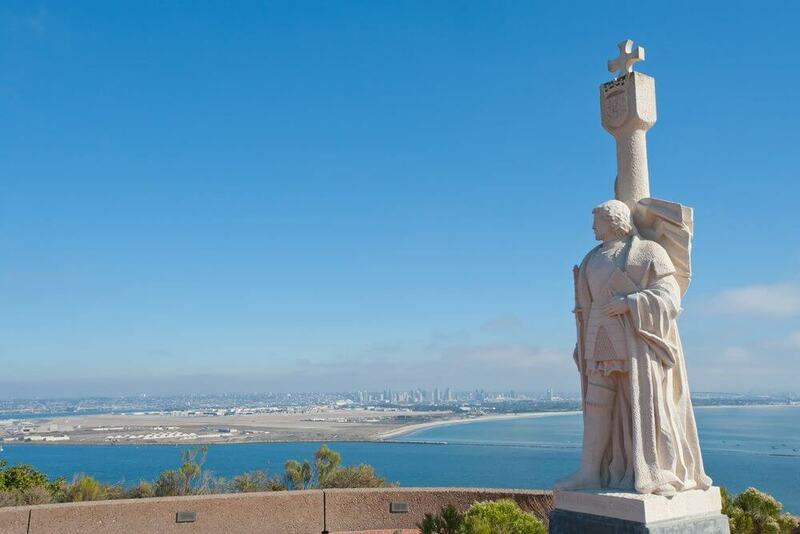 The Cabrillo National Monument is located on the Point Loma Peninsula, minutes from downtown San Diego. The monument itself commemorates the landing of Juan Rodriguez Cabrillo in 1542, and the area rises 422 above sea level. This affords visitors amazing views over the San Diego Harbor, the Pacific Ocean, and on clear days, you can see as far as Mexico! Also located near the monument is the Old Point Loma Lighthouse, the Bayside walking trail (a 2-mile trail that offers stunning views), and at low tide, you can go down to see the tide pools. You might spot some sea lions, or even a whale. The trip down to see the tide pools was something we decided against with a toddler, but mainly because we weren’t wearing the right shoes – if you have sneakers on and bring a baby carrier, this is totally possible. For all you need to know on the monument and surrounding area, visit the website here. Honestly, there was so much to do in San Diego that a week really wasn’t enough, and it’s on my list of places to go back to some day. 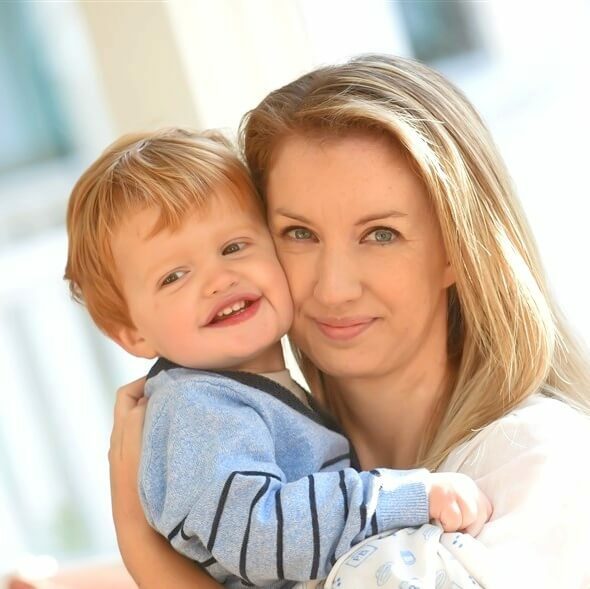 It really is one of the best destinations for families, and a great place to take a toddler. Have you been to San Diego? What were your must-see attractions? Let me know in the comments below! Our family loves SD…we try to get out there at least twice a year. Still looking forward to tackling LegoLand!! We’re definitely looking forward to getting back to San Diego at some point, I feel like there’s so much we didn’t get to try. 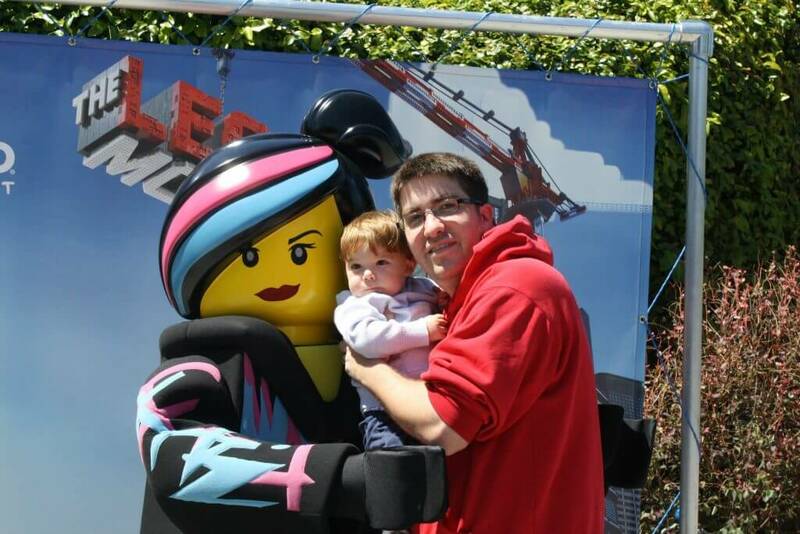 Legoland was a lot of fun, you should definitely try to get there some time! Hi Sally, thanks for stopping by! We LOVED San Diego, it was so family friendly and there was so much to do. 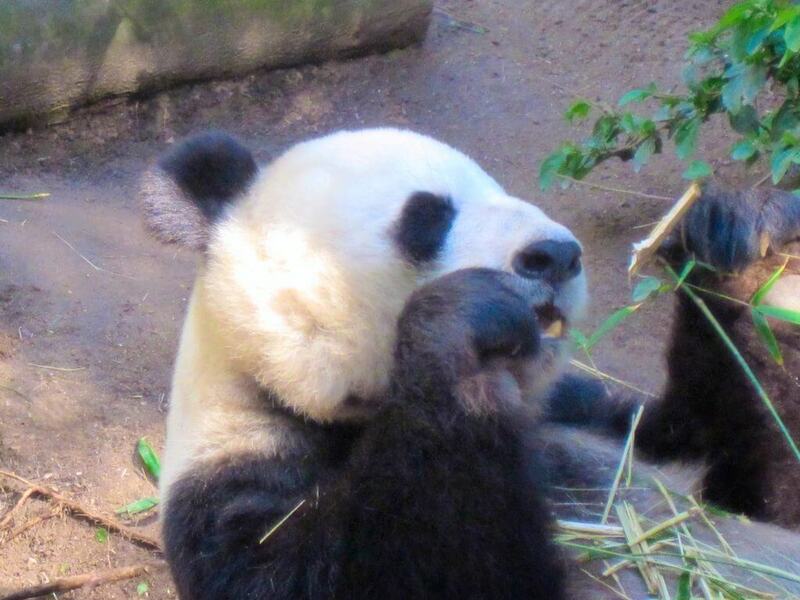 If you only do one thing, make it the San Diego Zoo – it was so kid-friendly, and our little guy loved it. 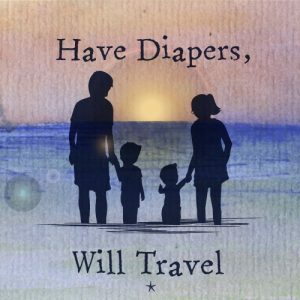 Just make sure you bring a stroller, there’s lots of walking involved! 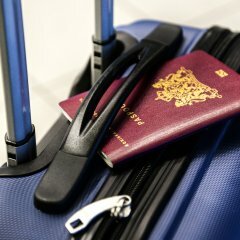 Have a wonderful time on your trip! We are planning a family trip to San Diego in June of next year. I’m pinning this post for reference. Thanks!